2-Apr Tue MW Men Hosting Carterton. Evergreens @ Trentham. 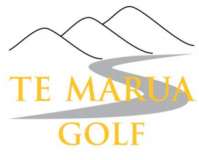 3-Apr Wed MW Women – LGU, Putts, HP Stableford, Home Links Event. 6-Apr Sat Porirua Club 9:30. Mashie @ Pauatahanui. Porirua Club 9:30. Mary Alward / Tuakana R7 @ Shandon. 7-Apr Sun Strokeplay Champs R4 (Best Gross 3 of 4), Mayer & Kean Cup R4 (Best Net 3 of 4), Don Hazlett Trophy R4 (Best Net 2 of 4). Matchplay Qualifying R4 (Best Gross 2 of 4). Bolt Cup R4 (Best Net 2 of 4). Autumn Cup (Fay Jones Trophy) – Stableford. 8-Apr Mon Men’s Vets @ Karori 10:00 am (alt 16 April). Bronze Pennants/Mary Penrose @ Te Marua. Bronze Pennants /Mary Penrose @ Te Marua. 10-Apr Wed MW Women – Autumn Cup (Fay Jones Trophy) – Stableford. 11-Apr Thu MW Men hosting Manor Park. 13-Apr Sat Men’s Interclub (See Draw) R8 Div 2, Div 3, Div 9 @ Te Marua. Mary Alward / Tuakana R8 (Te Marua Bye). Men’s Interclub (See Draw) R8 Div 2, Div 3, Div 9 @ Te Marua. 14-Apr Sun Golfer of the Year R2. RESERVE DAY for Strokeplay/Mayer & Kean Cup/Don Hazlet/Bolt Cup/Matchplay Qualifying. Match Play R1. 17-Apr Wed MW Women – Stableford. 19-Apr Fri GOOD FRIDAY. GOOD FRIDAY. 20-Apr Sat EASTER SATURDAY. Clubhouse closed from 3.00pm. EASTER SATURDAY. Clubhouse closed from 3.00pm. 21-Apr Sun EASTER SUNDAY. EASTER SUNDAY. 22-Apr Mon EASTER MONDAY. Men’s Vets @ Martinborough – Inter-Regional Tournament (10:00 am). EASTER MONDAY. 23-Apr Tue MW Men (Stalwart Shield R1). 24-Apr Wed MW Women – Match Play R1. 25-Apr Thu ANZAC DAY. MW Men (Stalwart Shield R2). ANZAC DAY. 27-Apr Sat Men’s Interclub (See Draw) R9 Div 3, Div 6 @ Te Marua. Mashie @ Kapiti. Mary Alward / Tuakana R9 @ Te Marua. Mary Alward / Tuakana R9 @ Te Marua. Men’s Interclub (See Draw) R9 Div 3, Div 6 @ Te Marua. 28-Apr Sun Golfer of the Year R3. LGU, Putts, HP Stableford. 29-Apr Mon Bronze Pennants/Mary Penrose RESERVE DAY. 30-Apr Tue MW Men (Stalwart Shield R3).